Free advertising on Facebook is not only possible, it is probable if you construct a plan and execute it consistently. Forget large advertising budgets with exemplary banners and catch phrases; free advertising on Facebook will take some work. Assuming you already have an account and a small following, this article will get you started with techniques you can use today to start your free advertising campaign. It also includes long-term strategies that you can use further down the road. Print this out and use it to guide your short- and long-term advertising success. The best free advertising on Facebook starts with what you have built so far. I am going to assume that you already have a Facebook following of friends and family. While they may not be your target market or even predisposed to purchasing from you, you can still ask them to help you. Ask them to like your status updates, share your content on their walls, and comment. Be respectful and do not try to force people to buy from you if they like or comment. Also be sure you are putting out content worthy of being shared, liked and commented about. I will get to that more in a minute. Start expanding your circle of influence by asking for friend requests of friends of friends. Engage with them on a regular basis. They will be regularly exposed to your business posts, articles and pictures. Over time, they may start liking and commenting on their own. Revamp your existing Facebook account. Put links to your website, blog, describe what you do in your “About Section.” Have a template with a description and/or links to your business, just in case someone messages or comments wanting more information. Eventually, open a Facebook business page. Having a page definitely provides a free platform where you can provide content and build a following which is also a great way to get some free advertising on Facebook. Ask all of your existing Facebook friends to like your page so that they can follow you exclusively on your business page. Be sure to brand your business fan page with your logos, pictures, etc. The nice thing about starting a Facebook page later on, after building a following on your account, is that you will get more likes and people who are already interested in the content you will be providing. Your Facebook fan page will be off to a nice start. Advertising is generally seen as just putting up ads, banners and promotions. People have been exposed to ads since birth, and they are pretty skilled at tuning them out. Ads are also expensive, or can add up quickly. Using a different strategy for your own free advertising on Facebook will put you way ahead of the game. First of all, there is a time and place for traditional advertising. On your personal Facebook wall is not one of those places. Even if you have a fan page, using advertising sparingly and providing more valuable content will get you a more engaged audience. Here is an example of one way to get free advertising on Facebook. Your fan page should be chock full of informative articles of different dogs, to attract your dog-walking client base, but you should also publish posts about ways to handle common behavioral problems like pulling, barking, jumping, and more. Address the special attributes and challenges of having a German Shepherd. You will want to post different types of content to your Facebook page: Status updates, pictures, graphics, videos, links and more. Use hashtags like #germanshepherd, #germanshepherds #gsd to attract fans who use hashtags to search for this content. If you have a blog, this is a great place to get free Facebook advertising for it, web traffic, comments and more. Eventually, you will be recognized as a German Shepherd expert and can expand into info products, ebooks, professional training and more. Be sure to share your accomplishments in your About section. It gives you more credibility when people check your background information. Creating fun content to give your followers is a great way to get free advertising on Facebook because you engage them with stuff they want and is relevant to them. Leverage free advertising on Facebook by pairing it up with another offer. You can run a contest, team up with another business or have an event either online or offline. You can also feature some of your fans with a promotion or contest. Fans love to be appreciated, especially if it benefits their own businesses or hobbies. Get creative with your promotions and you can enjoy success with increased business and seamless engagement. There are hundreds of businesses that are identical to yours that are trying to get free advertising on Facebook. The question becomes, why should anyone buy from you? Answer: You offer them something no one else can – yourself. 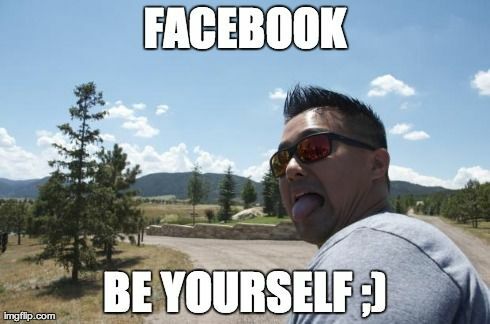 The easiest way to do this is to share some of your private life with your Facebook fans. You don't have to post information that you feel is too personal, only things that show another side of you in a favorable light. Allow your fans to get closer. You and your business have your own personal style. Show it off with good branding. Maybe you have a particular way your write or shoot videos. Do not be afraid to be yourself. This does two things: 1) It distinguishes you from similar businesses out there and 2) It attracts people who may become loyal customers for life. In other words, you are creating a tribe which is irreplaceable. Like attracts like basically. The goal to get free advertising on Facebook is to have your tribe build itself. Sort of like a self sustaining community. These four steps will help you get started with free advertising on Facebook. As you can see, it can be even more effective than traditional advertising, depending on your audience. These four steps are here to inform you, but the rest is up to you. You must take the consistent action necessary to grow your own success. Keep connecting in a positive and valuable way, keep learning, keep adjusting your methods and you may discover free advertising on Facebook techniques that are very profitable and allow you to grow your online presence. The 4 ways you share here are very good and that is certainly true the only thing that matters is yourself as a person. Everything will depend on you to develop your personal marketing to attract interested people. Great tips! Many times when people think of free advertising on Facebook, they think of messaging a million people a day. These tips clearly show leverage for your audience. Thanks for your leadership! Thanks for such an amazing article Lawrence. I have got a question: Is it better to build a facebook page for one’s company (like Galaxy Enterprises) or a facebook page which has one’s own name on it (like Lawrence Tam Digital). This is if the target market is start-up owners and small business owners. Advertise on facebook is a great process to build traffic on your site and to attract visitors.